San Pedro is the archaeological capital of Chile, we will visit the most important archaeological sites of the area to learn about the origin of the Atacama or Licanantai culture, the Pukara de Quitor is not only important for the local history, but it is for the history of Chile through the battle of Quitor (1540) one of the first conflicts between Spaniards and Indians. 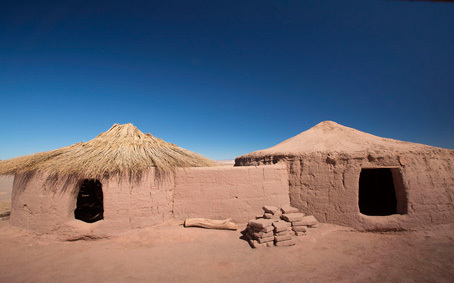 In the Atacama farm we will see how a family combines the ancestral traditions of agriculture and livestock, tasting some local products, then the Tulor village, corresponds to the oldest settlement and one of the first tests of sedentary lifestyles in the region. And finally we will move to the Church of San Pedro, built and preserved until today from adobe, cactus wood, chañar and algarrobo. 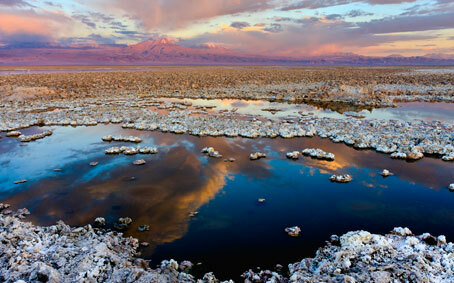 We’ll visit the great Salar de Atacama in Los Flamencos National Reserve where you can enjoy its immensity surrounded by fauna in the Chaxa lagoon and walk in the middle of the salt flat to be a unique experience in this area. 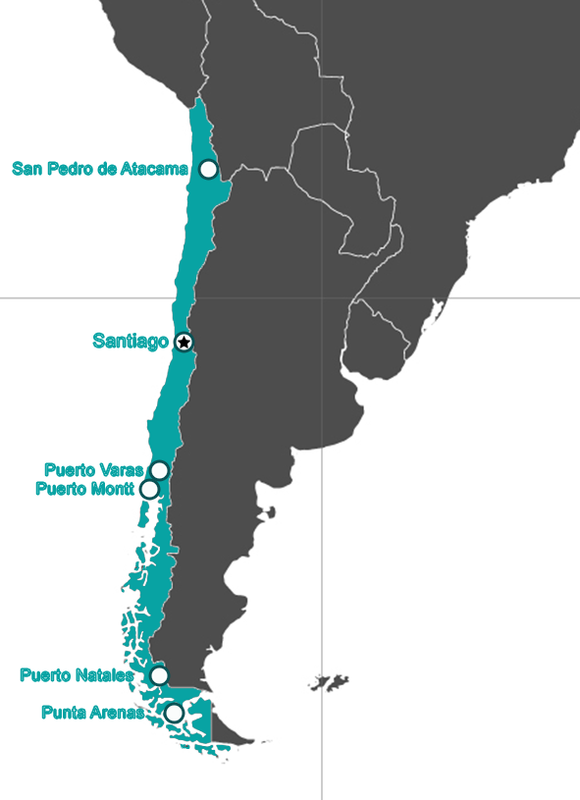 Then we will take the road to the Highlands to visit the lagoons Miscanti and Meñiques at 4,200 m.a.t.s.l. at the base of the volcanoes of the Andes, through its paths we will delight us with the nature of a landscape of contrasts. We will then enjoy lunch in the town of Socaire village highlighted for its traditional cuisine. Finally, before returning, we will visit the town of Toconao, its bell tower and Church of San Lucas, both national monuments since 1951. 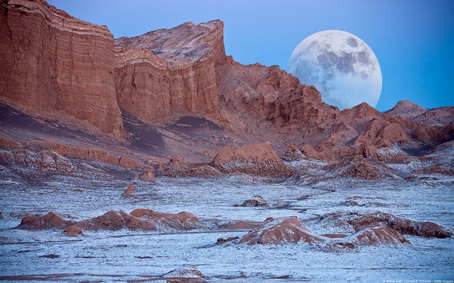 To the south of San Pedro de Atacama we will find Toconao, our first stop, this village was built with stone Liparita, we will visit its square full of history with its bell tower constructed in 1750 of adobe and wood of cactus and the Church of San Lucas, both national monuments. In the Valley of Jere we will see the real wealth of the Toconares, a cannon that due to its microclimate and the waters that come down from the mountains, it enjoys fertility and turns the sector into one of the most green places of the desert, we will see orchards of fruit trees and varied flora. 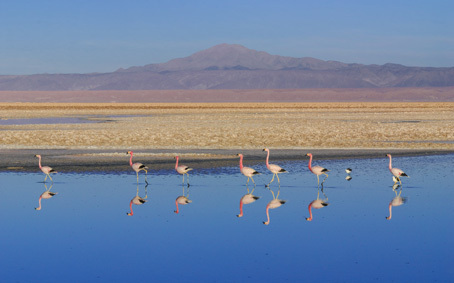 Finally will visit the Soncor sector of the great Salt Flat of Atacama, National Reserve de los Flamencos at Laguna Chaxa we shall enjoy the varied species of birds and the color of flamingos, the deep blue sky of Atacama, the heights of the andean volcanoes and the sunset will give us the farewell. In the middle of the deep dryness of the Salt Mountain range we find a landscape unique, shaped by water and wind over millions of years. In our journey we can enjoy the beauty delivered by extravagant forms that the mountain range, encouraging to imagination and reflection for your peace of mind. We will go into the Death Valley and from there we will enjoy one of the best views of the Andes, its volcanoes, walk and enjoy his incredible environment and end the day watching the sunset that through its colorful gives us a wonderful end to our tour. 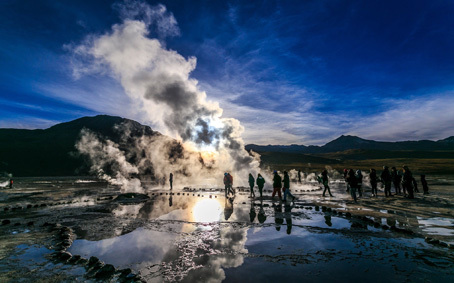 This trip to the highlands begins during the early morning hours to reach one of the most important geothermal fields in the world, The Geysers del Tatio, located to 4.320 m.a.s.l., surrounded with water emanations and steam, enjoy a beautiful dawn in the middle range, with a comforting breakfast outside. Then we will visit the "Pozon Rustico" where you will be able to enjoy the thermal waters that the mountain range gives us. Finally stop at the village of Machuca, shepherds of ancient llamas place, this town of adobe, straw and cactus wood house.